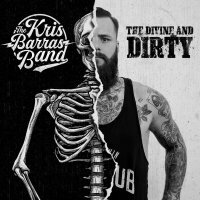 "From the cage to the stage- A fighter's soul"
Before releasing their new studio album 'The Divine And Dirty', The Kris Barras Band started their album promotional tour at the 'Thousand Islands' in London. For many people in the audience, it was the first time seeing the band live on stage and they were curious about who that fast rising Blues/Rock guitarist and front-man was, the man who played at the Ramblin' Man Festival in 2017, got signed to Mascot Records (home of Joe Bonamassa, Ayreon, Black Country Communion), had released a new album ('The Divine And Dirty') and now will even support Grammy-nominated singer Beth Hart on her upcoming UK tour. It has been a real winner of a year, but winning seems to be in the blood of the ancient martial artist Kris Barras, given his fighting background where he won fourteen out of seventeen bouts all over the world. His Southern Rock musical influences could be clearly heard right from the first song 'Wrong Place, Wrong Time', a ferocious sixties styled Rock 'n' Roll number that set the energy level very high. The band's performance proved the absolute opposite of the song's title. With Will Beavis on drums, Josia J. Manning on keyboard, Elliot Blackler on bass and Barras on fiery powerhouse vocals and lead guitar, they showed that they were no individual fighters, but a well-operating team. After the second song, the warm-up was definitely over and with 'I Got Time' the band were on fire. Even the "new fans" that night were now electrified by Barras' admirable guitar riffs. The song ended with a nice drop off by the band which provided a blazed atmosphere for the strong and metallic-sounding vocals of Barras, and the audience were able to witness the influence of his idol Gary Moore who he dedicated the next song to – an entrancing cover of 'Stormy Monday'. Even on a slow Blues number, the band's energy was glowing and this supported their unique interpretation of that anthem. The great, dynamic musical accompaniment perfectly accentuated Barras' heroic solo, where he chose a persuasive and crunchy guitar sound that lived up to Moore's name and got his just reward with a cheering round of applause from the audience. 'Propane', the song that followed (from the new studio album), then brought back the Southern/Country Rock feeling. When you closed your eyes, there were parts that reminded of Joe Bonamassa alongside the strong melodies, a catchy chorus and some memorable and whirling riffs. These were timeless songs that worked well but watching front-man Barras made all the difference due to his strong character; his expression of emotion was unique and captivating, like an explosive energy that came out of his veins from underneath those tattooed arms and mixed together with the depth from his iron-sounding voice. Probably the most known song from the album – 'Holy Mary' – made the audience sing along straight away. Starting with great harmonies at the beginning alongside an exciting build-up of the arrangement, the concert had probably reached its peak. The cogwheel chain around Barras' microphone stand not only suited the powerful chorus of the song, it also reflected what the band stood for; with an immense dynamic, dirty and rough sounds and a great punch in the music, they provided a steel-hard energy on stage. You were best advised to join in but not compete with Barras when he was singing the next song 'Kick Me Down' (also from the aforementioned recent album), as it featured another strong chorus that invited the audience to sing along. The show ended with 'Watching Over Me' which was introduced as the second song that Barras ever wrote. It was dedicated to his dad who lost a short fight against cancer. His dad was his musical inspiration and used to be the bass player in his band. It was a nice change to see Barras' vulnerable side too. He put all of his feelings into the stunning guitar solo at the end where he proved yet again that he is a highly-skilled and emotional player as he used all his anger and sadness to fight back against the loss of probably the most meaningful person in his life. The strong, emotive and expressive personality of front-man Kris Barras is probably the biggest asset of the band. You truly see his fighting background, which comes out through his energy and power on stage, but his songs are also profound and captivating. Just like the title of the album 'The Divine And Dirty', he has more than just a tough side because he is also able to connect with his audience through his deep and soft soul. Clearly suitable as the encore song 'Rock 'N' Roll Running Through My Veins' proved the band had exactly that. Superb playing, great dynamics, catchy and punchy songs with a big commercial potential and a charismatic front-man shows why Kris Barras and his band are currently on the "winning wave" and tonight clearly showed they have the potential to fight their way up to be the champions. 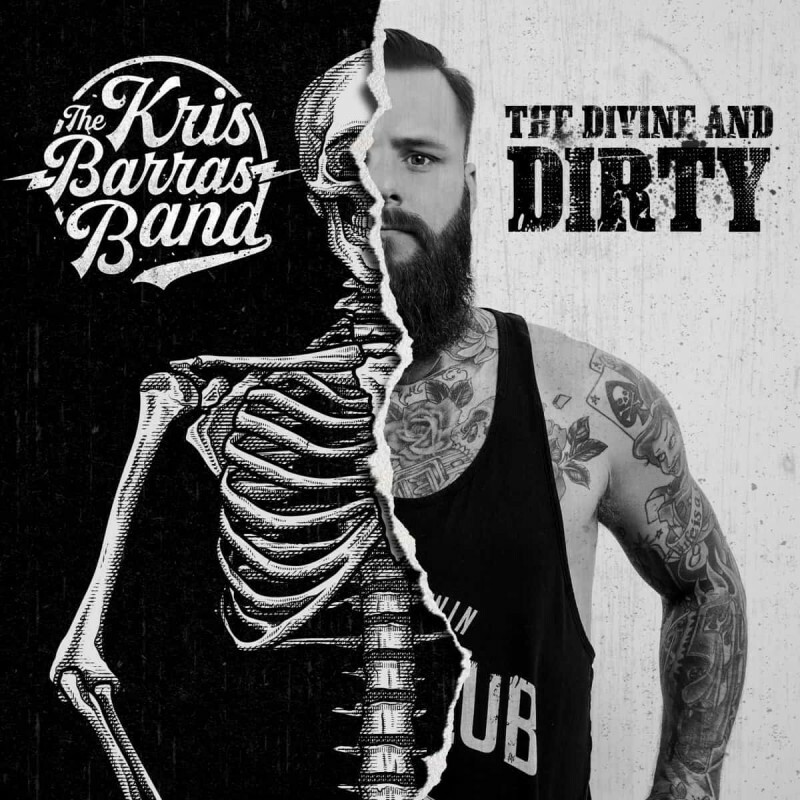 Click HERE to read the Rocktopia interview with Kris Barras.